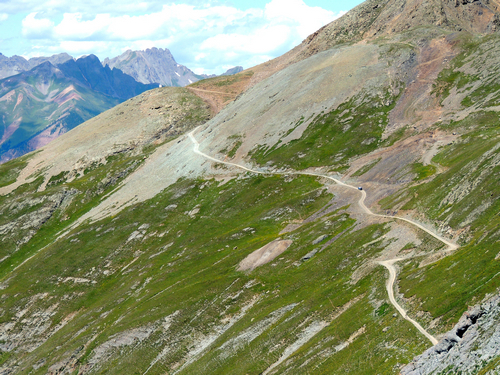 Kendall Gulch is a series of easy Jeep trails very close to Silverton that you can explore at your leisure. They have a strong 2.0 rating and are very rocky and bumpy. 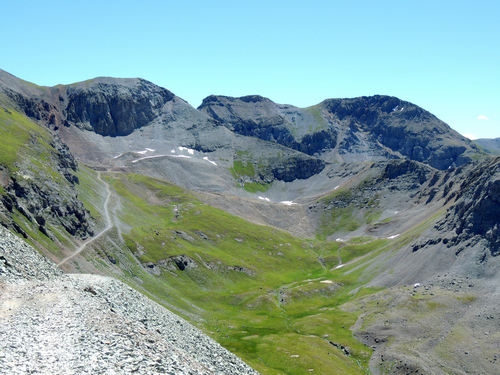 The main road takes you to the Titusville Mine at the head of Kendall Gulch. 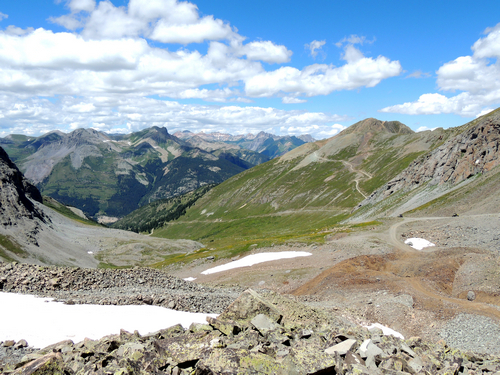 There is a view looking down the basin from Titusville Mine. Deer Park is an open area at the end of the first spur. 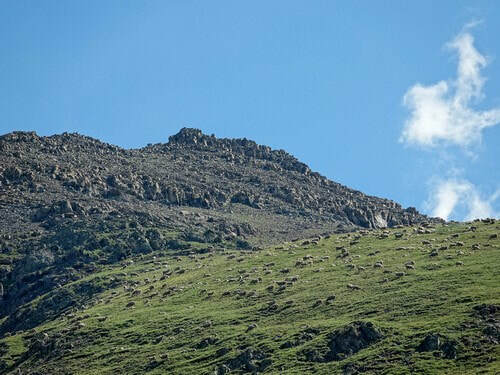 We have seen sheep at both Titusville Mine and above Deer Park. 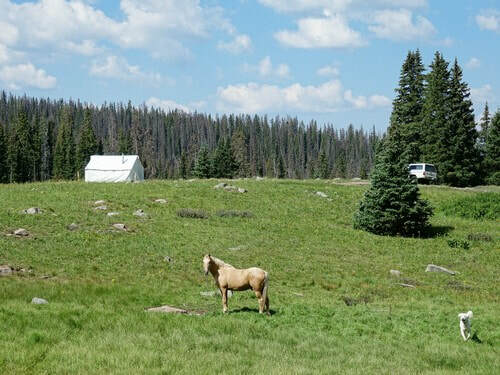 The shepherd's camp is frequently at Deer Park. 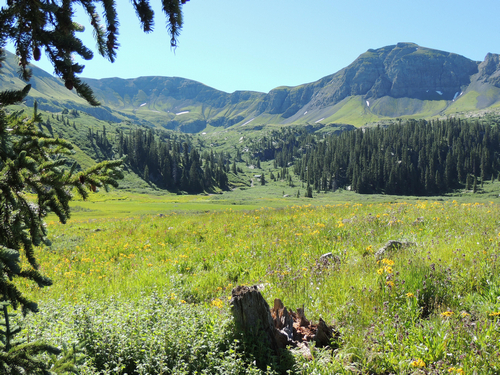 The second spur goes to a tower you can see from the Town of Silverton. 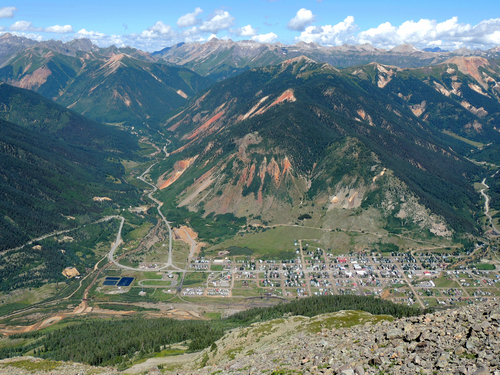 Great view of Silverton from the tower.